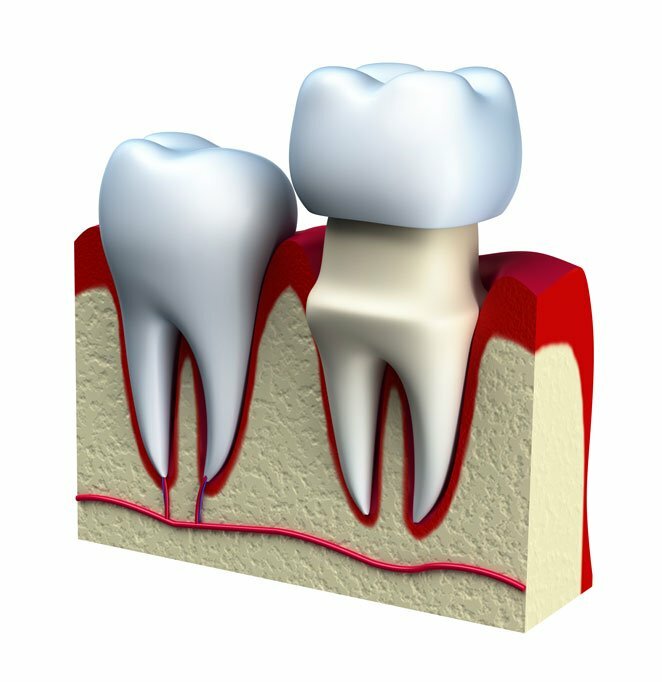 Did you know that a cracked or missing tooth can create additional damage in your mouth by affecting the surrounding teeth and gums? At Carolina Dental Arts, we can quickly take care of the problem as soon as it arises with our dental crowns and caps in Raleigh, Greensboro and throughout North Carolina. As part of our restorative dentistry treatments, our tooth-colored crowns are an easy way to restore your damaged tooth without sacrificing your smile’s aesthetics. With our years of expertise and state-of-the art equipment, our dental crowns will enhance the health and beauty of your smile by improving its appearance and function for years to come. You are sure to love the outcome, as this up-to-date procedure produces a result that is more durable and lifelike than ever. Carolina Dental Arts understands that our patients have busy schedules and need their dental health to be taken care of quickly. With that in mind, our advanced technology allows us to offer same day dental crowns in Raleigh and a number of our locations — we can even provide your new tooth crown in one hour! Have questions about this dental treatment or dental crown costs in NC? Feel free to contact us today — we would be happy to assist you in achieving optimal dental health.